Welcome to the complete guide on Belfast Airport and the local taxis available. 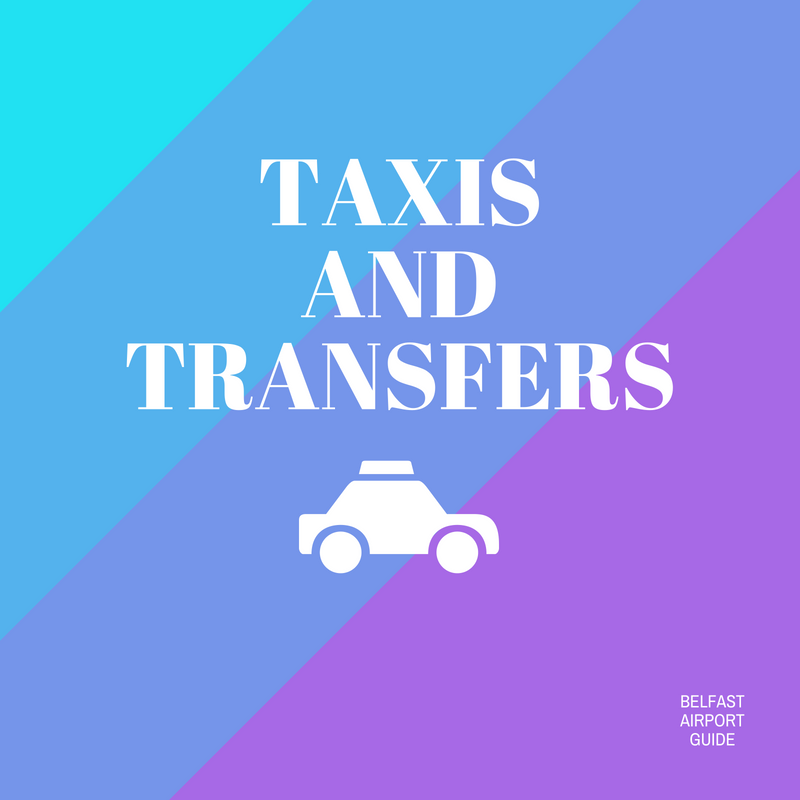 Pick your cab from our list of trusted local Belfast taxis | Take a look at how much a Belfast taxi will cost | Find out where the taxi ranks are at the airport | See a what local attractions you can visit. Serving both Belfast International and George Best City Airports - Very competitive taxi fares, range of vehicles and GPC computer system means that our closest driver is assigned to you! Call today on 028 90 602092 or send us an email via our website. Although they specialise in tours of Belfast they also do airport pick-up and drop-off. Who better to pick you up in a unfamiliar setting than someone who takes local tours? Shannon Airport Cabs have excellent local knowledge and are more then happy to take slight detours to see certain places of interest. Their prices are very reasonable and all cars are kept to high standards. Please be aware when calling taxi companies listed above that calls to mobile numbers may be charged between 10p-20p per minute from landlines. Want to be a part of our recommended providers? Add your taxis today to help boost your business. How much is a taxi fare from Belfast International Airport to Belfast City? Taxi fares from the city centre to the airport can vary depending on the number of passengers, type of vehicle required and the firm you choose to go with. To give you an idea of estimated costs, take a look at the table below. It might be worth comparing prices with other transport options such as trains and buses to make sure you get the best price for your journey around Northern Ireland. Some journeys such as business trips and group bookings, might be more effient and cost-effective via a Belfast Taxi. How much would you estimated Belfast taxis and fares: City centre to Belfast International Airport? Depending on what kind of vehicle suits your journey, we’ve figured out how much Belfast taxi should cost to get you into the city. Since the airport lies 38 minutes away from the city, prices are higher than other airport taxi firms but the quality of experience and value for money (per mile) is definately worth it… in our opinion, anyway! * Please note that these prices are only estimates based on prices from April 2018. Fares can vary depending on routes, taxi firm rates and time of journey. Please contact a firm directly for a quotation. The following map gives you an idea of the route a Belfast taxi could take you between the airport, located 20 miles away, and Belfast City Centre. Where is Belfast Airport taxi rank? The airport taxi rank can be found outside the Belfast terminal, by the right hand of the Exit lobby. Remember that only authorised cabs can stop at the Belfast International Airport taxi rank. They offer competitive local prices, can take you straight from the airport into the centre of the city and operate 24/7 so you don’t have to worry about your flight times. What kind of transport options can I book from the airport? Belfast International Airport, not to be confused with the smaller George Best City Airport, is located near the village of Aldergrove, Northern Ireland. It’s 18 miles from the bright lights of the Irish capital. The local Belfast International Airport taxi and transfer companies are well established, charging tourists £28 – £30 for a trip to the city centre. 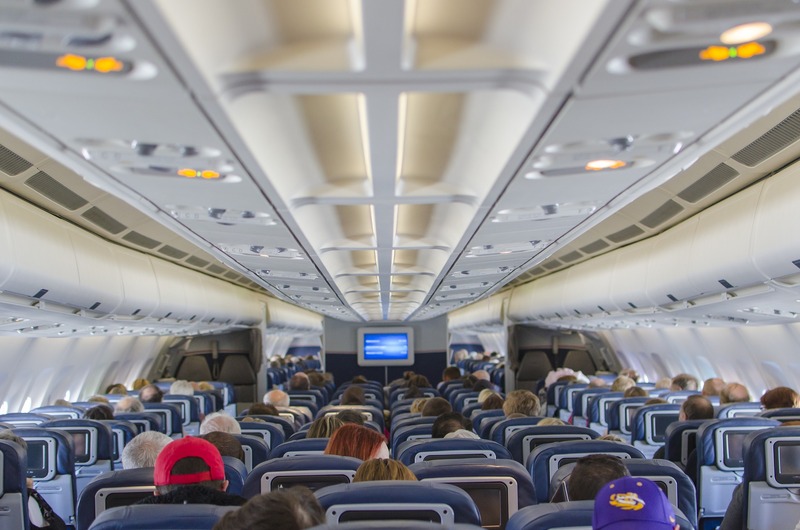 Journeys are usually billed per person, per mile but it is important to contact your chosen firm for exact figures. Minibuses are charged at £58 (£7.25 per person) and can seat between six and eight people, ideal for group tours. Executive cars, likely an Audi A6 or Mercedes E-Class, are billed at a similar rate, equating to £1.75 per mile. The Mercedes S-Class, a super-elite car, is always available, but expect to pay up to £60 for the privilege. Be aware that many executive firms will charge a minimum fare – a one-mile journey is exactly the same price as a ten-mile journey; short trips can prove costly. Whilst minicab firms and black cabs do offer the staple saloon journey, these firms can prove unreliable at peak times, especially on a Friday and Saturday night. Sightseeing – what can you see if you hire a Belfast Airport cab? Belfast Castle, an unusual red paint and sandstone building, is a wonderful old structure, seated atop Cave Hill. The castle is a popular location for weddings, and has verdant grounds. A unique visitor’s centre, highlighting the history of the castle, is free to enter and explore. Belfast Castle is just four miles from the city centre. St. George’s Market is arguably the most popular shopping arcade in Belfast, open on a Friday and Saturday morning. The market has sold some of the best local and continental food for over a century, and will host the next Christmas fair, come Tuesday 17th of November. The market is located within Belfast city centre, around £15 in a Belfast taxi cab from the airport. 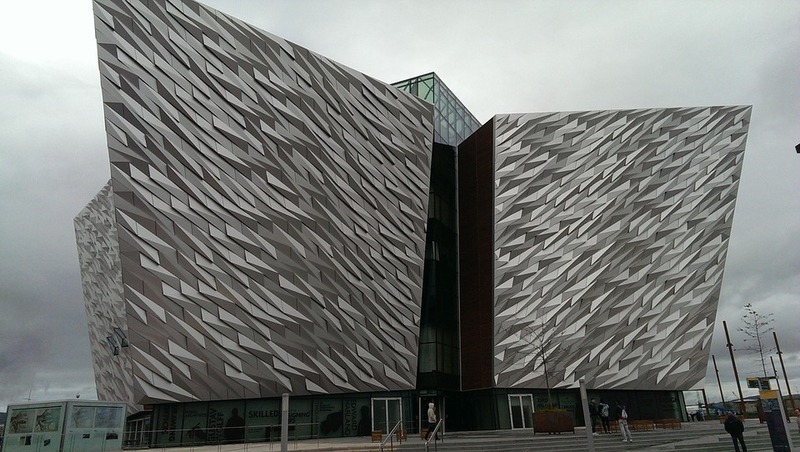 Titanic Belfast is a museum dedicated to the sunken ocean liner, the Titanic. It includes an under water exploration for families, recreated desks and cabins as well as hands on displays and exciting exhibits. The renovated Belfast City Hall is definately worth a visit, and comes complete with a café and remembrance garden, as well as a cenotaph dedicated to the people who died during the Second World War. Like the Museum and St. George’s Market, the City Hall is located within Belfast city centre. Our final recommendation goes to Belfast’s Botanic Gardens which dates back to 1828. It’s home to a tropical ravine where you can explore incredible plants and wildlife from above the canopy. Entry also includes Palm House which houses hundreds of tropical plants, hanging baskets and one of the world’s oldest Victorian greenhouses.